So, with all this in mind, I check Google Maps to try and identify a new location, to see if it is facing east or west and, basically, how photogenic it looks. I also check The Photographer’s Ephemeris (http://photoephemeris.com) to see what time sunrise and sunset are and how far north or south the sun will rise or set. By doing all this before I even get to a location, I find that half the work is done and, most importantly, there will be no nasty hidden surprises. Then, while I am on location, I know what to expect – this allows me to concentrate on finding and creating images. Now, I can hear some of you saying that many superb images have been captured without any planning, they just happened – the photographer was in the right place at the right time. I will not disagree with you, as this is a fact. However, for the non-‘transient’ or ‘surprising’ images it is best if we plan ahead. I cannot even imagine visiting a coastal location at sunset only to find out that those lovely rock formations are covered by high tide. This brings me to this month’s ‘surprising’ image. It was November 2014 and I was running a photo workshop in Glencoe and Rannoch Moor in Scotland with my good friend Mike Bell. We had explained to the group the night before about the location we would visit for a sunrise photoshoot and what to expect there (talking of planning). Once there we were all prepared and had a rough idea of what we were going to do. We were all standing in the middle of the moor as I was filling them in with the last few details when, all of a sudden, someone (I can’t even remember if it was myself or someone else) noticed a red deer stag in the distance. 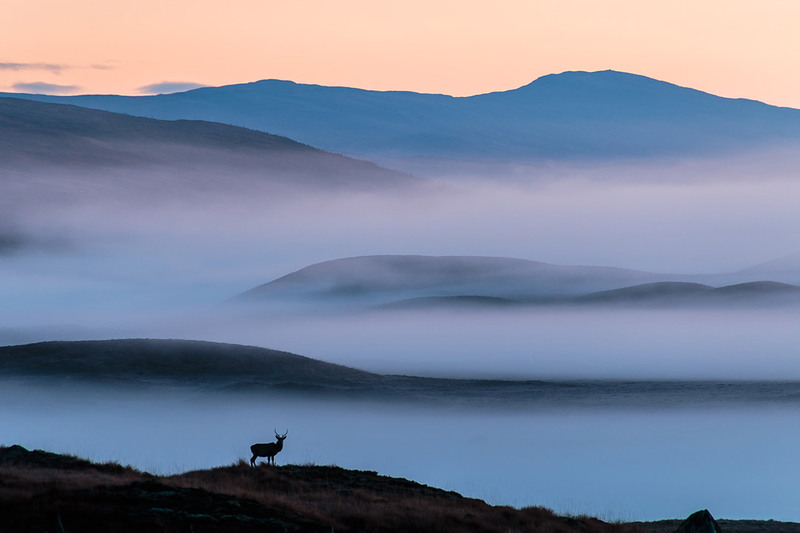 The early morning mist allowed just the curvy tops of the moor hills to be revealed and the pre-sunrise colour in the sky added a very pale cast to the white highlights of the mist – talk about ‘picture perfect’. We all froze when we saw this surprising scene, overwhelmed with awe and speechless – I definitely was. 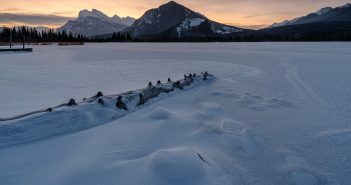 I had to snap out of it and, without hesitation, I asked the group to forget about all the advice I had just given them, to fit the longest lens they had on the camera and secure it to the tripod – it was very early so it was either the tripod or ISO over 10,000. We were lucky as the stag stayed there for at least five minutes, keeping an eye on us, the early morning intruders to his territory. We all captured lovely images of this scene that morning and, best of all, there was no planning necessary. To be honest though, these images are very few and far between, so for your everyday shooting it is best to stick to the plan.